This is the first English translation of Bernd Janowski's incisive anthropological study of the Psalms, originally published in German in 2003 as Konfliktgespräche mit Gott. Eine Anthropologie der Psalmen (Neukirchener). Janowski begins with an introduction to Old Testament anthropology, concentrating on themes of being forsaken by God, enmity, legal difficulties, and sickness. Each chapter defines a problem and considers it in relation to anthropological insights from related fields of study and a thematically relevant example from the Psalms, including how a central aspect of this Psalm is explored in other Old Testament or Ancient Near Eastern texts. Each chapter concludes with an "Anthropological Keyword," which explores especially important words and phrases in the Psalms. The book also includes reflections on reading the Psalms from a New Testament perspective, focusing on themes of transience, praising God, salvation from death, and trust in God. Janowski's study demonstrates how the Psalms have important theological implications and ultimately help us to understand what it means to be human. "Bernd Janowski (University of Heidelberg) is not yet much known to English-speaking readers. He will be now! He is a world class scholar who has written a world class book that will promptly become the bench-mark for theological interpretation of the Psalms. Janowski, in a dense, complex genuinely inviting book, combines acute theological sensibility, close exegetical alertness, and attention to the large human questions now before us concerning life and hope in a failed world. The result of his work is a study that will reward close, careful, sustained reading. We may be grateful to Westminster John Knox for bringing this fresh and judicious book into English translation." 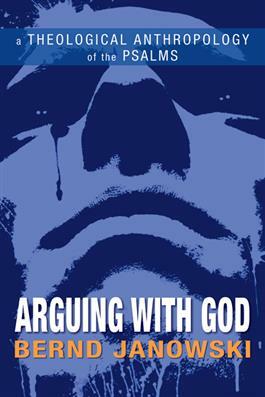 "There has not been a book like this since Hans Walter Wolff's famous Anthropology of the Old Testament. Janowski offers both insightful analyses of individual psalms and a comprehensive framework for biblical anthropology. The result is a subtle exploration of the Old Testament's understanding of human existence in the presence of the living God." "Finally translated into English, this monumental treatment of psalmic prayer is part theology, part anthropology, part psychology, and part reception history. Janowski not only brings to bear his wide-ranging knowledge of ancient Near Eastern literature, Hebrew poetry, and European scholarship. He also exhibits in his writing a deep pastoral sensitivity that will make his work eminently useful in the church."